Luis Alberto Urrea We have three good reasons to come see local author Luis Alberto Urrea: The Tijuana Book of the Dead, Water Museum, and Wandering Time. One author with three titles! We’re delighted to welcome him back for a special afternoon. A representative of Atlanta History Center’s Literary Center will be here to talk about the BIG READ. With prose as visceral and gritty as the desert landscape, The Secret History of Las Vegas (Penguin) (On-sale: January 7, 2014), the third novel from PEN/Hemingway award-winner Chris Abani, flashes an unwavering light into the dark seam of Sin City’s ever-present past. At the core of this propulsive literary thriller are Fire and Water, the deformed conjoined twins who are members of a sideshow called the Carnival of Lost Souls, and Salazar, the brutish detective trying to solve a gruesome spate of murders. The New York Times Book Review called Abani “an ambitious writer with an original perspective,” and here, the author undoubtedly lives up to the praise. Imbued with reverence, mythical storytelling, and striking compassion for its sideshow characters, The Secret History of Las Vegas will bruise you on one page and heal you on the next. Over the course of three days, as Singh simultaneously tries to psychoanalyze the twins and ward off Salazar, the implications of his study grow darker and it becomes clear that he has his own demons to reckon with. Endlessly distressed by his betrayal of loved ones back home during the apartheid, he seeks solace in the love of Asia, a prostitute with hopes of escaping that life. But Sunil’s own troubled past is hard on his heels in the form of a would-be assassin. Out of the barren desert, Chris Abani has conjured a garish world where the lines of good and evil are blurred together in the dirt—a world whose “good guys” are more haunted and lost than the outcasts they chase. Suspenseful until its final pages, The Secret History of Las Vegas is arguably Abani’s most accomplished work to date. ~~~ At turns heartbreaking, uplifting, fiercely romantic, and riotously funny, Queen of America tells the unforgettable story of a young woman coming of age and finding her place in a new world. Beginning where Luis Alberto Urrea's bestselling The Hummingbird's Daughter left off, Queen of America finds young Teresita Urrea, beloved healer and "Saint of Cabora," with her father in 1892 Arizona. But, besieged by pilgrims in desperate need of her healing powers, and pursued by assassins, she has no choice but to flee the borderlands and embark on an extraordinary journey into the heart of turn-of-the-century America. The Armchair Explorers Reading Group will meet at the Around the Corner Cafe on January 21 at 6:30 pm to discuss The Hummingbird's Daughter by Luis Alberto Urrea. Lift Bridge Book Shop will be hosting a book discussion of the "All Rochester Reads 2013" book, Into the Beautiful North by Luis Alberto Urrea. Three book clubs that meet regularly at Lift Bridge will merge on March 13th, 2013 to form a mega-discussion. Anyone else interested is encouraged to join in. Free and open to the public. Into the Beautiful North is available for purchase at Lift bridge Book Shop. After the bloody Tomochic rebellion, besieged by pilgrims claiming her as the spiritual leader of the Mexican Revolution and pursued by assassins, Teresita Urrea--beloved healer and "Saint of Cabora"--embarks on a journey through turn-of-the-century industrial America: New York, San Francisco, St. Louis. A member of the Latino Literature Hall of Fame, Luis Alberto Urrea is also the author of the widely acclaimed novel The Hummingbird's Daughter. Read the book and join us for a lively discussion! Copies of each month's title are available at the circulation desk. The title for January is Into the Beautiful North, by Luis Alberto Urrea. No registration required, and new members are welcome. 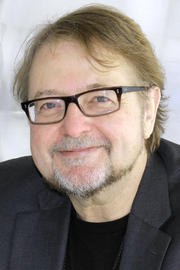 Luis Alberto Urrea is a LibraryThing Author, an author who lists their personal library on LibraryThing. Luis Alberto Urrea's book USA Noir was available from LibraryThing Early Reviewers. Luis Alberto Urrea's book Into the Beautiful North was available from LibraryThing Early Reviewers. Luis Alberto Urrea is currently considered a "single author." If one or more works are by a distinct, homonymous authors, go ahead and split the author. Luis Alberto Urrea is composed of 11 names. You can examine and separate out names.